Today's Daf Yomi (on 20 Teves 5771) - Zevachim 47 - begins the fifth chapter of Maseches Zevachim, the chapter of Mishnayos that is recited daily in Shacharis in the section about Korbonos. The Mishna Berura on the Shulchan Aruch (Orach Chaim - Chapter 50) mentions among other reasons as to why this chapter of all chapters of Mishnayos are recited in our prayers for inclusion of daily Mishna study within our Tefillos is because this chapter HAS NO MACHLOKES (even though for the most part the rabbis argued L'Shem Shamayim, Al Achas Kama V'Kama when arguments lead to hatred showing to begin with that these arguments were never L'Shem Shamayim) and it is a MISHNA BERURA "a clear Mishna" (as handed) by Moshe at (Har) Sinai. NOTE: This is the ONLY mention of the phrase Mishna Berura in the ENTIRE Mishna Berura authored by the Chofetz Chaim! As virtually anyone who learns Gemara knows, any given chapter of Gemara is referred to by the beginning words of the chapter. Hence, the name of the fifth chapter of Maseches Zevachim is called by the beginning words of the chapter - Eizehu Mekoman. A little background info on this chapter - The beginning of this chapter is "WHERE IS THE PLACE for sacrifices? The holiest of the offerings are slaughtered on the north side (of the Temple courtyard)." Take a look at the first and last letters of the name of this chapter in order of the letters - Eizehu Mekoman - "Where is the place?". The word Eizehu begins with an Aleph, and ends with a Vov. The word Mekoman begins with a Mem, and ends with a Noon Sofis. These four letters in order spell UMAN! Coincidence? Where is the place - the place of the Kodshei Kodoshim - "Holy of Holies" - which is also the name of the holiest area in the Beis HaMikdash where only the Cohen Gadol entered only on Yom Kippur (though this is not the place referred to in this context, but there has to be an obvious connection between the two). Their slaughter - the animal sacrifice was slaughtered in the Tzafon -north (of the Temple courtyard). Tzafon can also be read as the same letters as Tzafoon - hidden. Indeed, Rabbeinu Nachman - the HOLY of HOLIES - was HIDDEN (buried) in UMAN (since he didn't see being buried in Eretz Yisrael as being practical at that time, the reason(s) which are not applicable anymore), in the environs of the burial grounds of many Jews who were SLAUGHTERED Al Kiddush Hashem, that he picked specifically for this reason. Noting the fact that Rabbeinu passed away on the day of the Ushpizin of Moshe Rabbeinu in Uman, the Mishna Berura is hinting to us that it is a MISHNA BERURA - "a clear Mishna" - a clear cut fact that connecting ourselves to Rabbeinu - the Tzadik Yesod Olam - IS THE EQUATION OF FOLLOWING THE HALACHA AS HANDED DOWN TO MOSHE RABBEINU ON HAR SINAI! It would be a sin for me to fail to mention that the Chofetz Chaim, especially as a Cohen, promoted learning Seder Kodoshim, the order of Mishnayos, Gemara, and Halachos pertaining to the Torah about offerings in the Beis HaMikdash, as it is considered as though we bring the Korbanos these days when learning these parts of the Torah in the absence of the Beis HaMikdash. 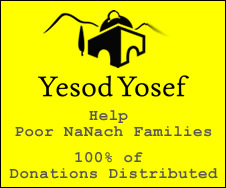 For those who know how to learn Gemara, learning Daf Yomi - especially these days when Seder Kodoshim is being learned - is a grand time to begin doing so without waiting until the next cycle of Daf Yomi. Moshiach can be here anytime, and now is the chance to have the special merit of learning THIS PART OF THE TORAH that has extra merit - BEFORE IT IS TOO LATE (How will we know how to bring the Korbonos if we don't learn this beforehand, even if we are not Cohanim?). From 20 Teves thru Rosh Chodesh Shevat at the very least, the Daf Yomi is the Gemara on this chapter Eizehu Mekoman, which is the basic outline of the Temple offerings. It is most interesting to note that once, the Chofetz Chaim was asked by someone looking to be a Chasidishe Yungerman, and wanted to know which stream of Chasidus would be good to join. The Chofetz Chaim - though he never spoke Loshon Hora even about Chasidim - was a clear cut Litvak with no known Chasidic ties in his family. He answered back like this, "If you are going to join a Chasidic group - it should be Breslov, because Breslov Chasidim learn the Shulchan Aruch and fulfill what it says".